Feeling like one of the team, I enjoy being able to travel to the client’s office and working with and getting to know the staff. 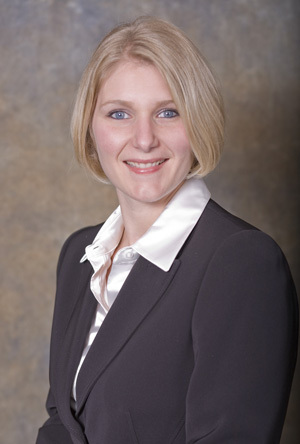 Brieanna first joined Leone, McDonnell & Roberts, Professional Association in 2011. As a Supervisor in our Dover, NH location, Brieanna oversees many of the firm’s non-profit, HUD, and low-income housing audits. Throughout her tenure at Leone, McDonnell & Roberts, Brieanna has earned a reputation for leveraging her impeccable attention to detail and strong organizational skills to deliver the financial support clients need to navigate through the potentially arduous audit process seamlessly and successfully. Brieanna graduated from Southern New Hampshire University in 2010 with a Bachelor of Science degree in Accounting. She launched her career at Moody Famiglietti & Andonico (MFA), a firm located in Tewksbury, MA that same year. At MFA, Brieanna teamed with clients in a diverse range of industries and gained invaluable experience in professional tax management. At Leone, McDonnell & Roberts, Brieanna has proven that math and numbers aren’t her only superpowers. She also has exceptional people skills and enjoys traveling to client locations where she can closely collaborate with partners to understand their specific audit needs and concerns. Brieanna effortlessly establishes herself as a trusted resource to our clients, acting as an extension of their organization to ensure they hit every audit deadline and deliverable. As a dedicated Leone, McDonnell & Roberts contributor, Brieanna uses her extensive insight and knowledge to develop customized financial audit solutions to help resolve any client issue. When not hard at work in the office, Brieanna enjoys spending time with her husband and two children. An avid outdoor enthusiast, Brianna loves hiking and camping with her family in the White Mountains, watching her children’s sporting events, or playing sports herself.